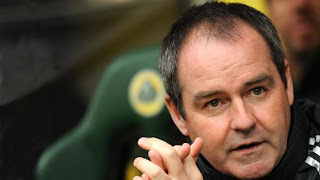 Steve Clarke has been appointed as the new Head Coach at West Bromwich Albion. He has vast experience as a coach at Liverpool West Ham and Chelsea and the only thing that his CV lacks is a spell as a Head Coach. It is a long apprenticeship but Albion have decided to give him a shot at being the Head Coach. Given our track record of making the right appointment at the right time I feel confident that he is up to the task and will be successful. It is critical to understand that Albion are about as far removed from the old style gaffer culture as it is possible to be and what they want is is a coach to work with the First Team and get it prepared for matches to squeeze the most out our limited resources therefore the role is first and foremost about coaching and organising players. We are not looking for a D list celebrity who will front up to the media but leave the hard graft on the training ground to his legions of minions we are looking for a hands on coach and Steve Carke is just that. From that prospective it would appear to be a good match. The club he joins is in a good place having managed back to back mid table finishes in the Premier League after years yo-yoing between the Championship and Premier League, it is well run, financially sound, progressive and forward thinking. However West Brom are not one of English football's sleeping giants with masses of untapped potential just needing the right spark to bring it back to life. Albion are wide awake and operating pretty close to their full potential which means they are middle weights operating in an environment dominated by heavy weights. Albion might be sharper and quicker than their opponents but in terms of resources most of their competitors carry a lot more clout. In short that is the challenge facing the new coach how can you improve a club operating at the top of it's current range? From a coaches point of view there are no easy victories. Right now being the new Villa manager is easier in the sense that the board will be happy with any improvement and the fans will love you just for not being Alex McLiesh (how long this will last is debatable but a season at least would be my guess). Whereas at the Hawthorns Clarke faces fans expectations of more of the same and if it looks like the team is falling short unfavorable comparisons will be drawn with his much loved predecessor Roy Hodgson. The new Head Coach's immediate challenge is preparing the squad for the new season he is fortunate in one sense is that there are a number of gaps in the squad that will allow him bring in players to help him shape the squad to meet his requirements, but he has to start this process without actually having the opportunity of working with the current players. Equally there are question marks over the futures of Olsson, Morrision and if some reports are to be believed Odemwingie and Mulumbu hence the team that opens the season could look very different to the one than finished 10th last year. Whatever the challenges faced by the Baggie's new Head Coach his appointment has not been greeted with universal delight by the club's fans who might have been carried away by various high profile names that were linked with the vacancy. Personally I do not buy the cult of the manager and therefore will remain skeptical about the impact of any appointment (both from a negative and positive perspective) certainly until we have at least half a season of games to judge how well a coach is doing at the club. Football has never been as simple as appoint the right coach and good things happen appoint the wrong coach bad things happen. Players come and go injury loss of form and plain dumb luck all play a part but fundamentally no coach can push a club beyond the limit of its resources certainly not over an extended period of time. If you want an example of this consider Clough and Taylor's sorry sojourn at Brighton which must have be the ultimate fur coat and no knickers appointment in the history of football Clough and Taylor were the fur coat but when they turned up at Brighton found there was no money for players and those at the club were frankly rubbish even by the fairly low standards of Division 3. It did not end well. Hopefully the club has appointed a coach who can achieve our prime target of 40 points and on going membership of English football's elite (okay we only have a bronze membership card but it is better than no card at all). However it will never be easy and the whole club needs to get behind the coach.If you want to see how badly things can go wrong when fans start to undermine a coach from the outset have a look up the road at Villa.